FEMA Administrator Calls Amateur Radio "The Last Line of Defense"
On Sunday, May 22 at 5:41 PM, the single deadliest twister in almost 60 years -- and the second major tornado disaster in less than a month -- swept through the southwestern Missouri city of Joplin, slamming straight into St John's Regional Medical Center. The tornado killed at least 117 people. As soon as the storm cleared, area Amateur Radio operators responded to requests from the American Red Cross and local hospitals to provide communications support. "On Sunday, right after the tornado hit, I received a call from the American Red Cross office in Springfield, asking for radio support," said ARRL Missouri Section Emergency Coordinator Ken Baremore, W0KRB. "I contacted Greene County Emergency Coordinator William Gilmore, KC0TCF, and asked him to join me in Springfield. We got there at 9 PM and used a newly installed 2 meter beam to talk to the Joplin repeater, establishing communications between the two American Red Cross offices. Cell phone coverage was spotty at best, but mostly non-existent, and the circuit was overloaded most of the time. We left about 12:30 AM." Read more here. 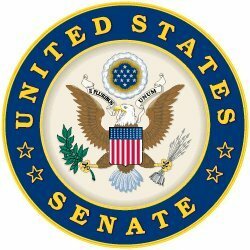 On Thursday, May 19, Senators Joe Lieberman (ID-CT) and John McCain (R-AZ) introduced S 1040 -- The Broadband for First Responders Act of 2011 -- in the Senate. While it has a similar objective to HR 607 -- introduced in February by Representative Peter King (R-NY-3) -- this Senate bill, unlike HR 607, does not call for auctioning any portions of Amateur Radio spectrum. Both bills call for the allocation of the so-called "D block" of spectrum, 758-763 and 788-793 MHz, to facilitate the development of a public safety broadband network. Read more here. The Subcommittee on Communications and Technology of the US House of Representatives invited the ARRL to testify at a hearing on "Creating an Interoperable Public Safety Network." ARRL General Counsel Chris Imlay, W3KD, appeared before the Subcommittee on Wednesday, May 25. "While this is not a hearing specifically on HR 607, it provides a welcome opportunity to document our concerns about Section 207(d) of that bill," noted ARRL Regulatory Information Manager Dan Henderson, N1ND. Read more here. In an FCC forum on earthquake communications preparedness, Federal Emergency Management Agency (FEMA) Administrator Craig Fugate described the Amateur Radio operator as "the ultimate backup, the originators of what we call social media." The forum-- held May 3 at FCC Headquarters in Washington, DC -- brought together officials from the White House, the Department of Homeland Security (DHS), the United States Geological Survey (USGS), FEMA, the FCC and the private sector. Fugate and FCC Bureau of Public Safety and Homeland Security Chief Jamie Barnett gave the opening remarks. In an earthquake communications preparedness forum sponsored by the FCC, FEMA Administrator Craig Fugate praised Amateur Radio, saying "...when you need Amateur Radio, you really need it." Later in the forum, Fugate spoke more on Amateur Radio. "During the initial communications out of Haiti, volunteers using assigned frequencies that they are allocated, their own equipment, their own money, nobody pays them, were the first ones oftentimes getting word out in the critical first hours and first days as the rest of the systems came back up," he told the forum. "I think that there is a tendency because we have done so much to build infrastructure and resiliency in all our other systems, we have tended to dismiss that role 'When Everything Else Fails.' Amateur Radio oftentimes is our last line of defense." Fugate said that he thinks "we get so sophisticated and we have gotten so used to the reliability and resilience in our wireless and wired and our broadcast industry and all of our public safety communications, that we can never fathom that they'll fail. They do. They have. They will. 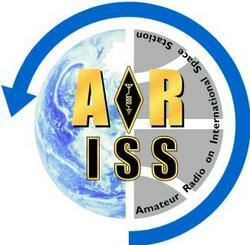 I think a strong Amateur Radio community [needs to be] plugged into these plans. Yes, most of the time they're going be bored, because a lot of the time, there's not a lot they're going to be doing that other people aren't doing with Twitter and Facebook and everything else. But when you need Amateur Radio, you really need them." You can watch a video of the forum on YouTube. Fugate's remarks begin at 18:55. On May 19, the Education Office at NASA's Johnson Space Center's notified almost 20,000 US educators about the Amateur Radio on the International Space Station (ARISS) Project. According to ARRL ARISS Program Manager Rosalie White, K1STO, this kicks off the first of a number of new processes that the ARISS US team will put into motion to get educators more involved in the program, which coordinates Amateur Radio contacts between the ISS and educational institutions around the world. Read more here. 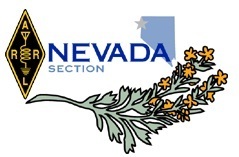 In the only Section Manager election this spring to be decided by member balloting, ARRL members in Nevada re-elected Section Manager Joe Giraudo, N7JEH, of Spring Creek, to a new two-year term of office. Giraudo received 347 votes; his opponent J.D. Weiss, NK7W, of Reno, received 124 votes. Giraudo has been Section Manager since August 2008. His new term of office starts on July 1. Ballots were counted at ARRL Headquarters on May 24. The following incumbent ARRL Section Managers did not face opposition and were declared elected for their next two-year terms of office, beginning July 1: Jim Cross, WI3N, Maryland/DC; Al Shuman, K1AKS, New Hampshire; Rich Krohn, N2SMV, Northern New Jersey; Bob Beaudet, W1YRC, Rhode Island; Dan Pruitt, AE6SX, San Joaquin Valley, and Mel Parkes, NM7P, Utah. In West Texas, no nominating petitions were received for Section Manager by the March 4 receipt deadline. West Texas Section Manager John Dyer, AE5B, of Cisco, decided not to run for another term of office, and his present term ends on June 30; he has been Section Manager since July 2007, and had previously served as Section Manager 2002-2005. According to the ARRL Rules and Regulations for the Field Organization, the West Texas Section Manager's position will be re-solicited in the July 2011 issue of QST. A Section Manager elected through the re-solicitation will serve a term of 18 months. 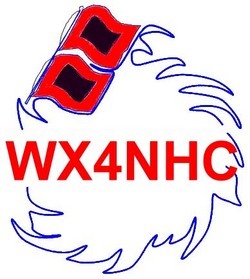 The annual WX4NHC On-the-Air Station Test from the National Hurricane Center in Miami will take place Saturday, June 4, 1300-2100 UTC (9 AM - 5 PM EDT). "The purpose of this annual station test is to test all of our radio equipment, computers and antennas using as many modes and frequencies as possible in preparation for this year's hurricane season," said WX4NHC Assistant Amateur Radio Volunteer Coordinator Julio Ripoll, WD4R. "This is not a contest or simulated hurricane exercise." Read more here. On May 18, the European Communications Office (ECO) in Copenhagen added the Russian Federation to the list of countries that accept the CEPT reciprocal operating arrangements. 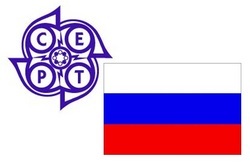 This means that US hams who hold an FCC-issued General, Advanced or Amateur Extra class Amateur Radio license may operate in Russia, as well as the other countries covered by the European Conference of Postal and Telecommunications Administrations (CEPT), subject to the regulations in force in the country visited. Read more here. CQ magazine announced its 2011 Hall of Fame inductees on May 20, welcoming 12 new members into the CQ Amateur Radio Hall of Fame, one new member of the CQ DX Hall of Fame and one new member of the CQ Contest Hall of Fame. The CQ Amateur Radio Hall of Fame honors those individuals, whether licensed hams or not, who have made significant contributions to Amateur Radio, as well as those amateurs who have made significant contributions either to Amateur Radio, to their professional careers or to some other aspect of life on our planet. The CQ Contest and DX Halls of Fame honor those amateurs who not only excel in personal performance in these major areas of Amateur Radio but who also "give back" to Amateur Radio in outstanding ways. Read more here. 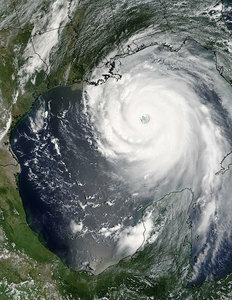 In 2005, Hurricane Katrina strengthened into a powerful Category 5 hurricane with sustained winds of 160 miles per hour. The boost came just hours after Katrina reached Category 4, with winds of 145 miles per hour, as it gathered energy from the warm water in the Gulf of Mexico. In this photo from NASA, Katrina is shown on its path toward the coastlines of Louisiana and Mississippi. Forecasters with the National Hurricane Center are calling for an "above-average" Atlantic hurricane season for 2011. In its initial outlook for the 2011 Atlantic hurricane season -- which runs from June 1-November 30 -- the National Weather Service's Climate Prediction Center (CPC) is calling for a 65 percent probability of an above-normal season, a 25 percent probability of a near-normal season and a 10 percent probability of a below-normal season. CPC Forecasters say that there is a 70 percent chance of having 12-18 named storms, of which six to 10 could become hurricanes, including three to six major hurricanes (Category 3, 4 or 5). Tropical systems acquire a name -- the first for 2011 will be Arlene -- upon reaching tropical storm strength with sustained winds of at least 39 miles per hour. Tropical storms become hurricanes when winds reach 74 miles per hour and become major hurricanes when winds increase to 111 miles per hour. An average season has 11 named storms, including six hurricanes with two becoming major hurricanes. Read more here. 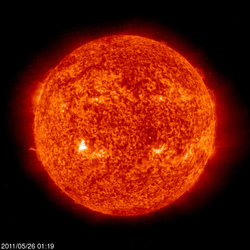 The Sun, as seen on Thursday, May 26, 2011 from NASA's SOHO Extreme Ultraviolet Imaging Telescope. This image was taken at 304 Angstrom; the bright material is at 60,000 to 80,000 Kelvin. Tad "All alone with the memory of my days in the Sun" Cook, K7RA, reports: The Sun was quieter again this week. The average daily sunspot numbers were down nearly 17 points to 51.6, while the average daily solar flux declined nearly 9 points to 83.2. The latest prediction is for the solar flux to remain low at about 80 on May 26-June 2, then rise to 90 on June 3-4, then 85 on June 5-7 and back to 90 on June 8-11, finally peaking at 95 on June 12. We seem to be a long way from recent weeks when sunspot numbers were over 100. The same prediction has some geomagnetic activity this weekend, with the planetary A index on May 26-30 at 8, 12, 15, 12 and 10, then declining to 5 on May 31 and into the first week of June. Currently two new sunspots are emerging in the Sun's southeastern quadrant. Look for more information on the ARRL website on Friday, May 27. For more information concerning radio propagation, visit the ARRL Technical Information Service Propagation page. This week's "Tad Cookism" is brought to you by Andrew Lloyd Webber's Memory from the musical Cats. Periodically, the ARRL's Atlantic Division hosts a "webinar" -- an interactive Web-based seminar, designed to facilitate communication between a small number of presenters and a large remote audience using the Internet. On Wednesday, June 1 at 9 PM (EDT), ARRL West Gulf Division Director David Woolweaver, K5RAV -- along with ARRL General Counsel Chris Imlay, W3KD, and noted antenna zoning lawyer Fred Hopengarten, K1VR -- will present Antennas, CC&Rs and You. The webinar is hosted by ARRL Atlantic Division Director Bill Edgar, N3LLR. The scope of the webinar will be an overview of the impact that private contracts and land use provisions -- such as homeowners association covenants and deed restrictions -- impact amateurs. The webinar will highlight how CC&Rs differ from public laws, such as zoning ordinances and governmental restrictions (which are covered under PRB-1). The presenters will also discuss some common approaches on how amateurs might try to address these restrictive covenants. Following the presentations by Imlay and Hopengarten, participants will have the opportunity to ask general questions related to the topic. Click here to sign up for the CC&R webinar. On Wednesday, June 8 at 9 PM (EDT), Edgar and the National Capital Region D-STAR Association will present the second of a two-part webinar discussion on D-STAR technology and its application to emergency communications. This 90 minute webinar will provide a discussion on how D-STAR technology can benefit Amateur Radio EmComm scenarios. Examples of D-STAR applications to EmComm will also be presented, as well as future growth ideas. Click here to sign up for the D-STAR webinar. ARRL Headquarters will be closed Monday, May 30 in observance of the Memorial Day holiday. There will be no W1AW code practice or bulletin transmissions that day. ARRL Headquarters will reopen Tuesday, May 31 at 8 AM (EDT). We wish everyone a safe and enjoyable holiday weekend. ARRL President Kay Craigie, N3KN, speaks on HR 607 at the ARRL Forum during the 2011 Dayton Hamvention. Click here to go to the QST Multimedia page and scroll down to the HR 607 video. Click the "Play" button to watch the video.